The Word is Murder’ is a classic whodunit tale. 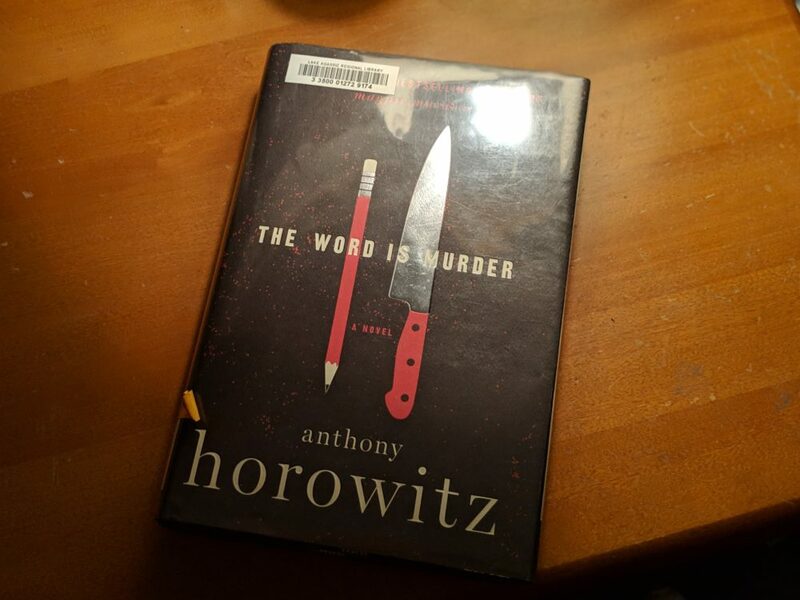 Anthony Horowitz put his all into his work — literally. He is part of “The Word is Murder,” hired as a ghost writer to tell the story of a mysterious murder and how an ex-cop turned private investigator saved the day. On a seemingly normal day in London, Diana Cowper walks into a funeral parlor. That sounds like the beginning of a bad joke. Diana plans out her funeral on the very same day of her murder, but is this more than just a coincidence? Detective Daniel Hawthorne seems to think so. Hawthorne is a retired detective doing freelance work for obscure cases, and he brings in the help of Anthony Horowitz to tell his life story. Unfortunately for Anthony, this job is more than he bargained for when he is drawn into the mysterious circumstances of Diana’s death and can’t seem to pull himself away. There is a minuscule part in this book that I found very interesting — the murderer’s identity is given to us at the beginning of the story. If you failed to catch this, you were left scrambling throughout the book to find out who the real killer was. Could it be Diana’s wealthy actor son Damian? Or when he turns up dead, could it be his mistreated wife? Or perhaps her protective ex-marine father? Maybe it’s the vengeful father of the child that Diana killed in a hit-and-run accident? The answer is unclear until one old photograph solves the mystery. Anthony meets up with an old friend from a prestigious acting school, the same one that Damian and his wife attended. When his wife mentioned their old friend from school, the name rang a bell for Anthony. It turns out that the funeral director was that old friend working under a stage name at the time. To confirm the identity and get the real story, Anthony decides to pay him a visit. Jealousy turned to obsession for the funeral director, and he would stop at nothing to get revenge for Damian stealing his spotlight. Now that the director’s true actions have been revealed, Anthony’s life is in danger. Luckily for Anthony, Hawthorne came to the same conclusion and saves him in the knick of time. “The Word is Murder” is a classic whodunit tale with thrilling action at the turn of every page.